Lashes of London sell some beautiful items don’t they? and right now they have an amazing sale on (Ugh spending ban). 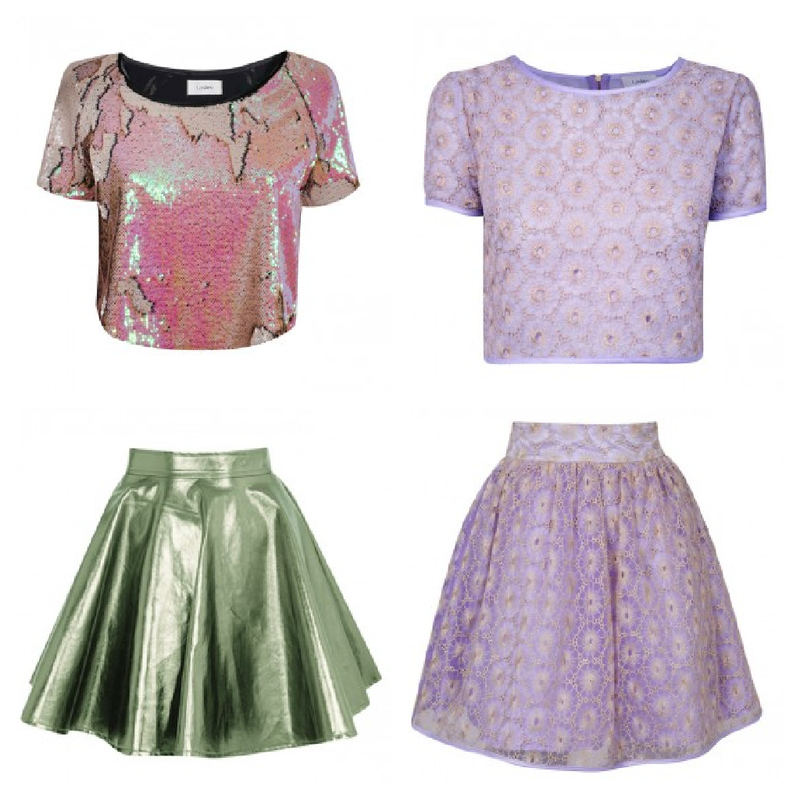 I’m in love with their metallic skirts and sequin tops – gorgeous for summer and such nice colours! Anyway to win £200 to spend on Lashes of London all you have to do is create a wish list style collage. I have created two small collages because well I liked too much on the website!! You can also enter, find out here. On the 18th, Lashes of London will add their 8 favourite collages to their Facebook. I think the sequin top looks great with the metallic skirt, a very ‘out there’ look but isn’t that what fashion is all about? Expressing yourself and your mood through your clothes, so I think this is a brilliant, bright and happy summer outfit. Green is often a hard colour to pair items with but I think the colours in the sequin top match the skirt so well. The second lilac two piece is very girly but so cute. You could wear it casually with DMs or creepers or add some sandal heels for the evening! The dip hem top and velvet leggings, this is more of a wintery outfit. It would look great paired with a khaki parka and black DMs. It could be dressed up or down, by adding litas or wedges for the evening.